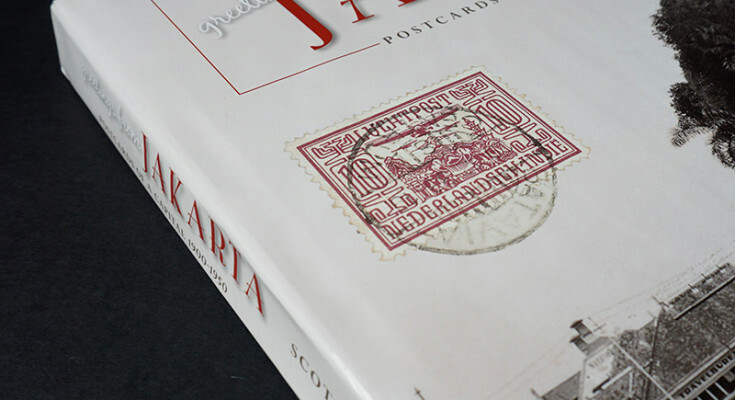 Greetings from JAKARTA: Postcards of a Capital 1900–1950 is the most comprehensive visual record of Jakarta ever published covering the first half of the twentieth century which was also the last half century of colonial rule. Four hundred and sixty postcards from the author’s own collection are brought together to reveal a city that has largely vanished and is barely recognizable now even to most life-long residents. 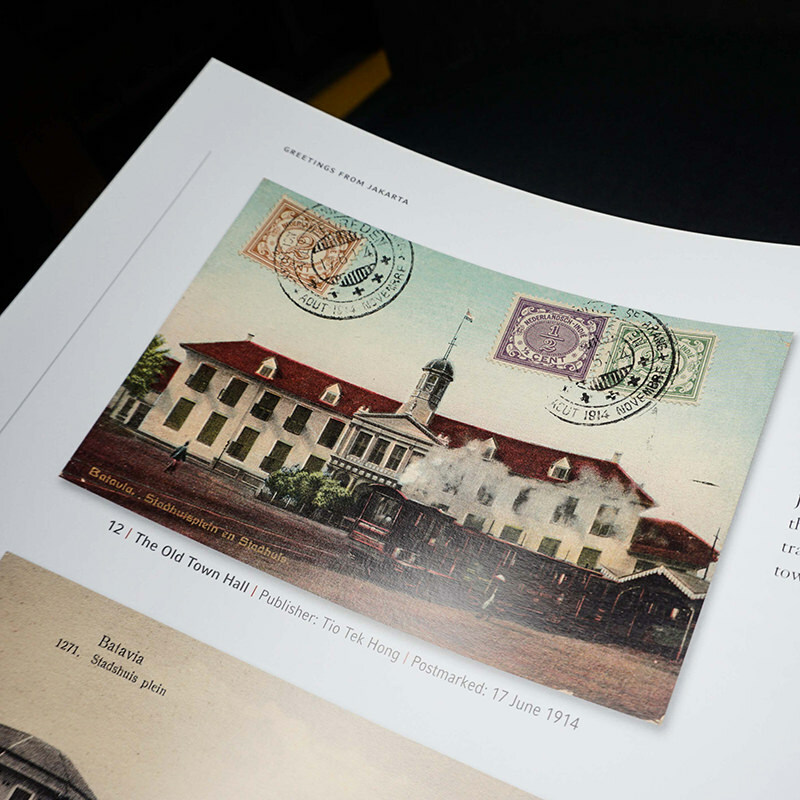 Three hundred and sixty-two of the postcards have individually research captions and are linked to period maps which enable the reader to identify the precise location of each image. 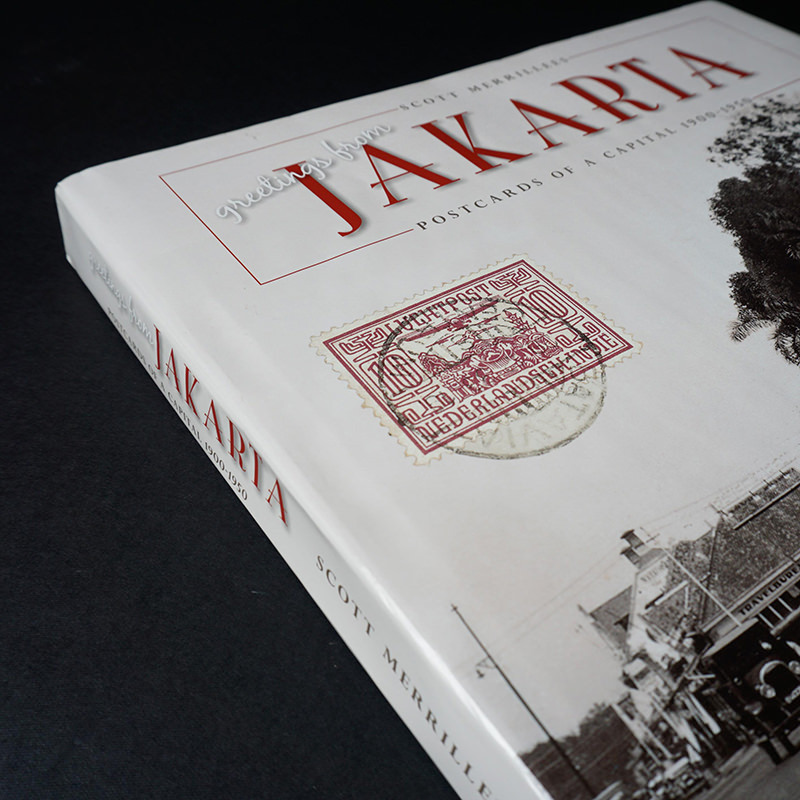 The book is the result of twenty years of collecting and research by Scott Merrillees to try and answer the questions: what did Jakarta look like in the past, what were the influences which shaped its development and how did it evolve into the city it is today? Scott Merrillees (1962) was born in Melbourne, Australia, and graduated with a Bachelor of Commerce degree from the University of Melbourne in 1984, with majors in accounting and Indonesian studies. He learned the Indonesian language at high school and university in Australia (1975–1983) and at Satya Wacana University in Salatiga, Central Java, Indonesia (1981–1982). He worked in Jakarta for twenty-two years from 1989–2006 and from 2008–2013, mainly in banking, capital markets and equity research.